Indie Retro News: Angry Birds (Opposition) - Angry Birds as a shooter on the ZX Spectrum? Yes really! 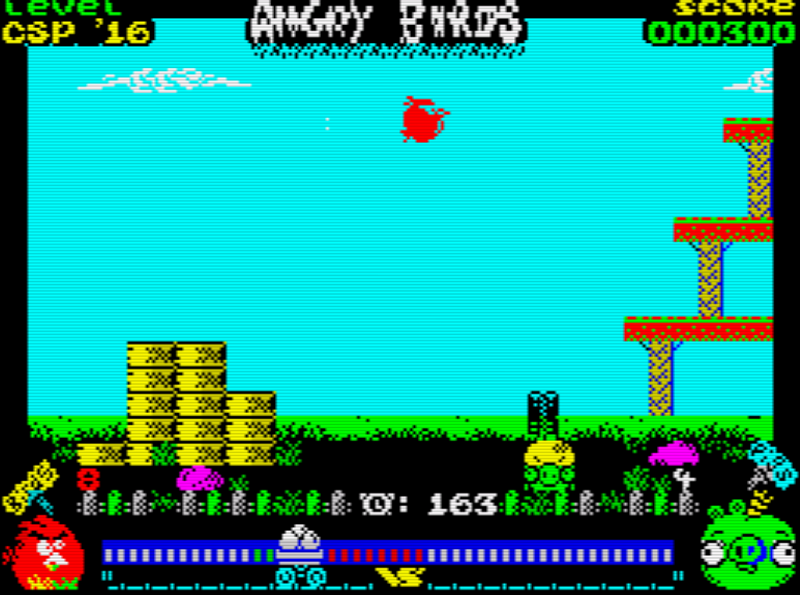 Angry Birds (Opposition) - Angry Birds as a shooter on the ZX Spectrum? Yes really! How many of you remember that highly addictive game whereby you used to fling birds at collapsible objects to knock pigs out of the way? Well I do and it was the gaming fad for the time ' Angry Birds ', which isn't on anyone's mind right now as it's mostly Pokemon Go. But what if we could take Angry Birds and turn it into a shooter for the ZX Spectrum? Welcome to ' Angry Birds (Opposition) ' by kas29. 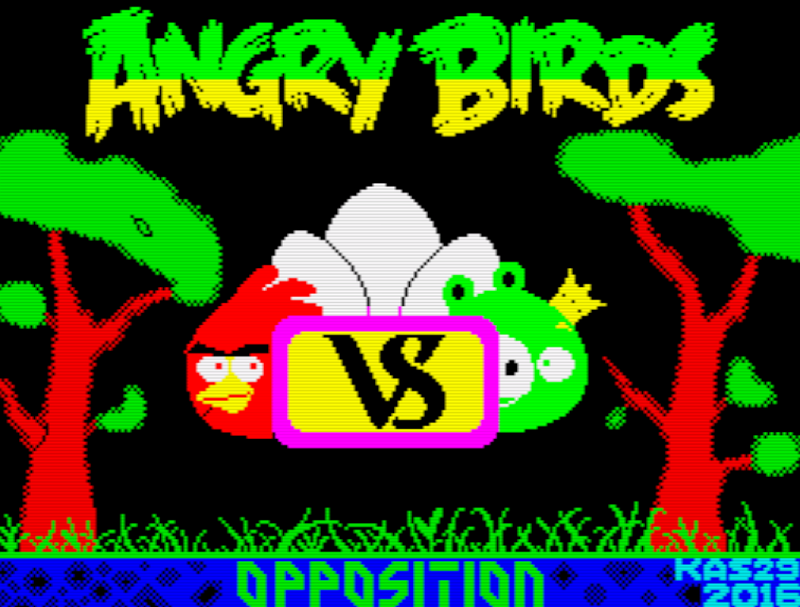 Unlike the bird flinging antics from the original, Angry Birds (Opposition) is completely different. In this one you play as the pigs and must shoot down the birds flying across the screen to capture their eggs. If you miss one, the eggs are delivered and the cart at the bottom moves towards the enemy side but if you shoot an angry bird, the cart moves to the right and your score goes up. Good luck ZX Spectrum owners!